The quote stands as a true classic. 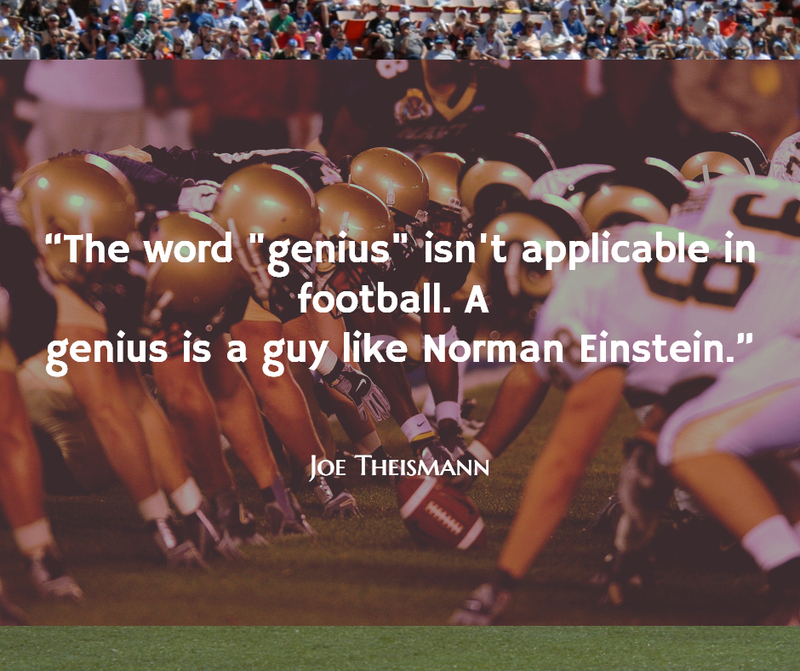 Joe Theismann stated that the word “genius” didn’t apply to football, only to people such as Norman Einstein. Fits neatly into the dumb jock stereotype into which so many people love to toss football players. Of course, it’s hilarious. The gaff caused many to assume that Theismann, who attended Notre Dame, knows so little about Albert Einstein that he completely goofed his name, calling him “Norman.” The masses point and laugh, momentarily feeling intellectually superior to a Super Bowl winning quarterback. The real story, however, might not be that simple. Think of your high school valedictorian. Pretty smart kid, right? Well, turns out Theismann feels the same way about the valedictorian from his graduating class at South River High School in New Jersey — a kid named Norman Einstein. According to this article, Norman Einstein attended Rutgers University and studied…any guesses? Yes, physics! What else would a guy named Einstein study? He later became a doctor after graduate studies at Tufts University. Afterward, he worked as a doctor for close to 30 years. One of Theismann’s younger high school football teammates also did pretty well for himself. According to Pro Football Reference, Cowboys star Drew Pearson is one of four NFL players to graduate from South River. Experience Pro Football History. Order the book The Game Before the Money on Amazon, and listen to NFL legends on The Game Before the Money Podcast.